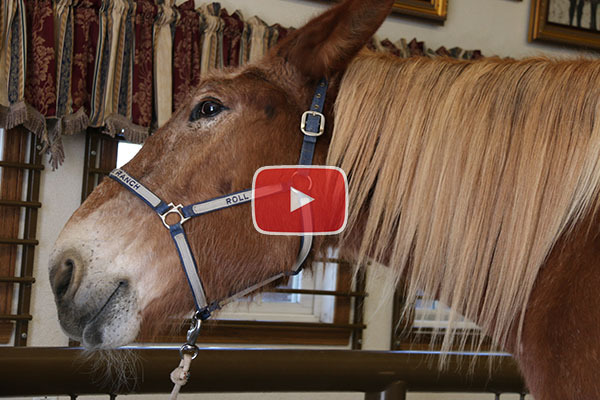 Keeping your animal well groomed is an essential component of equine care. Meredith shares some tips on the basics. This Detailed Description covers information discussed in Training Tip #15 - Grooming Basics. 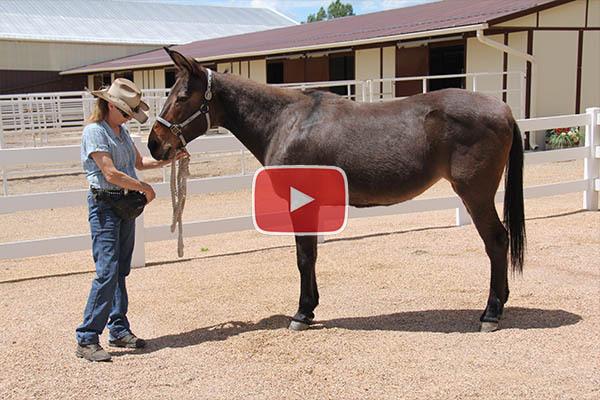 Meredith shares her secrets to getting beautiful manes and tails on your equines—including mules! This Detailed Description covers information discussed in Training Tip #16 - Great-Looking Manes and Tails. 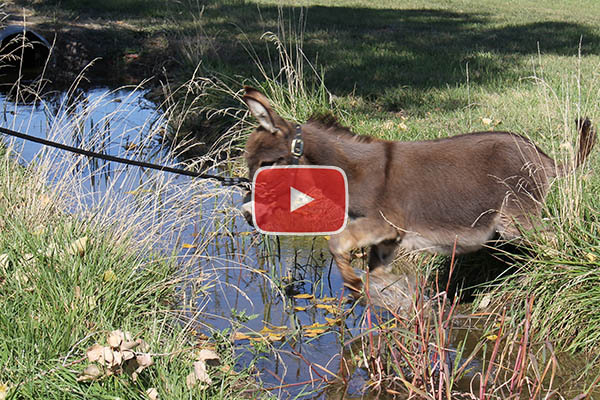 Bathing can be a challenging endeavor for equines that are afraid of water or the hose. 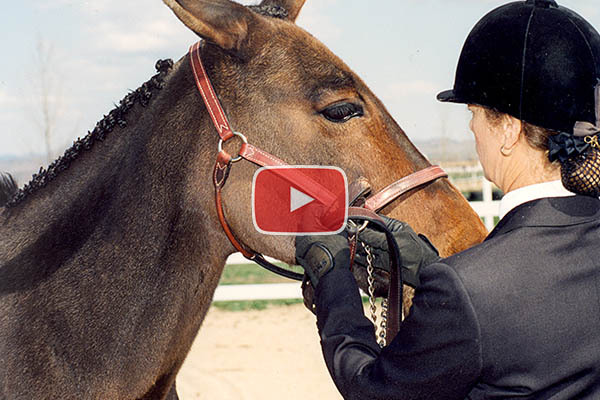 Meredith explains how to teach your equines to enjoy bath time. This Detailed Description covers information discussed in Training Tip #17 - Bathing and the Hose. This Detailed Description covers information discussed in Training Tip #18 - Getting Down with Minis. 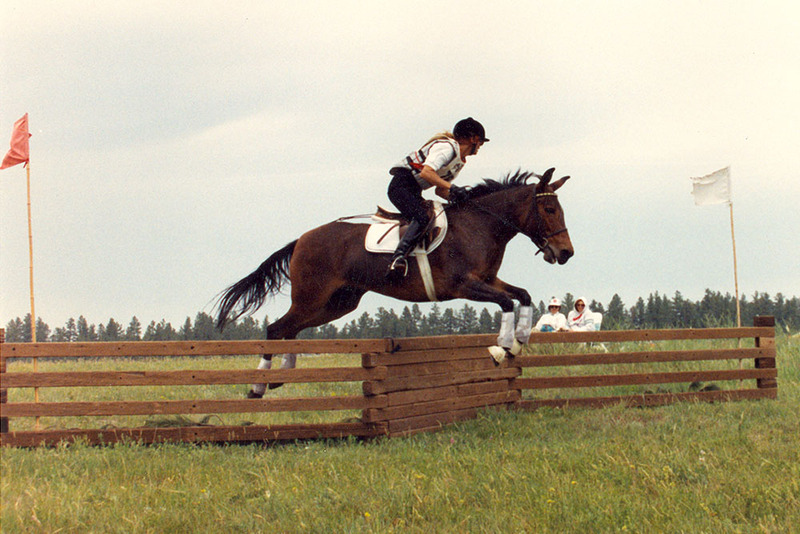 Determining your animal's athletic ability is a useful guide in the training of your equine. Here, Meredith breaks it down into both a physical and mental assessment. This Detailed Description covers information discussed in Training Tip #21 - Assessing Your Equine. 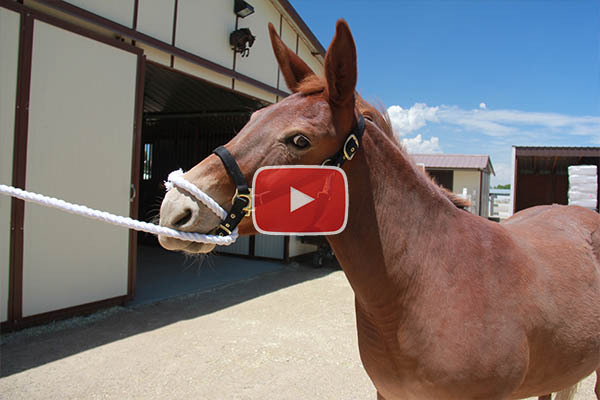 No matter what kind of equine you have, the halter is one of your most basic—and most important tools. 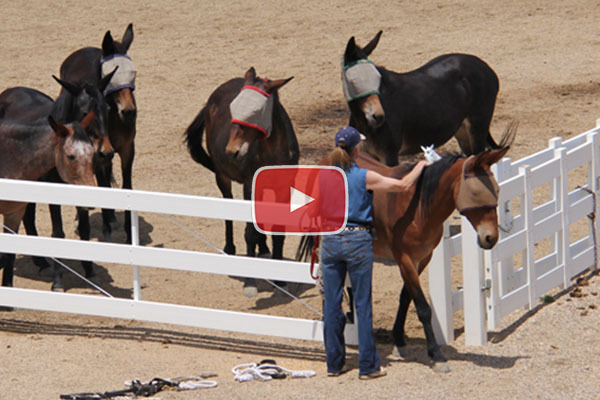 This Detailed Description covers information discussed in Training Tip #23 - Halter Types. All equines, including jacks and stallions, must be trained to lead with a lead rope and nylon halter before you attempt any further training. Learn more about the use of lead ropes and shanks in this training tip. This Detailed Description covers information discussed in Training Tip #24 - Lead Ropes and Shanks. If you need some extra leverage with your equine during initial leading training, try using the "Quick Twist." Meredith explains how to set it up, and when to use it in this Training Tip. This Detailed Description covers information discussed in Training Tip #26 - The Quick Twist. 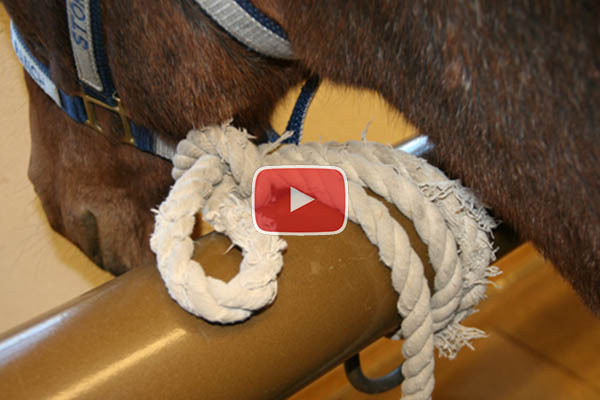 Learn how to properly use the “face tie” restraint for your mule or donkey. This is a humane alternative to twitches, stocks and hobbles. This tie should NEVER be used with horses. This Detailed Description covers information discussed in Training Tip #27 - The Face Tie.